Trouble has been brewing for some time now among residents of Ayala Alabang Village in Muntinlupa City, over the planned construction of a community center inside the gated village. The construction is to be undertaken by the St. James the Great Parish Foundation. St. James the Great is the parish church in the elite subdivision south of Manila, and St. James the Great Parish Foundation, Inc. is a private corporation that owns the land and the site where the church stands. Twenty years ago in 1999, the foundation purchased two parcels of land, adjacent to the church, where it intended to construct a community center and parking building. Groundbreaking ceremonies for the Cardinal Sin Community Center were held in February 2018 and announced in the Ayala Alabang Village newsletter that month. Residents took notice only months later, last September, when the landscaped and trellised courtyard of St. James church was demolished to make way for the construction of the community center. Some residents banded together to form the alliance Group of Residents Against Commercial Expansion (GRACE). They launched a social media campaign against the foundation’s plan to build a 2,200-sq m events venue, or community/ formation center, that would reportedly cost P210 million. On Sept. 10, 2018, barangay captain Ruben Baes issued a stop-work notice, but feathers had already been ruffled and tensions ran high. In mid-November, village resident Patrick Carague, representing GRACE, wrote a letter addressed to the village association’s board of governors requesting them to comply with the magna carta for homeowners and homeowners associations. “Decisions like these should be ‘subject to consultation, with the approval of a simple majority of the association members,’” Carague told Inquirer Lifestyle in an interview last week. Residents who oppose the construction of the formation center within the village were concerned that it would affect peace, security and privacy. “What the foundation is doing is the exact opposite, it’s making (the church premises) bigger inside the village,” said Carague. The public has come to associate St. James parish with one of the biggest crowd-drawing events of the Christmas season—the annual St. James Christmas bazaar. For 25 years, until 2016, it grew to accommodate over 500 concessionaires who sold their wares—from holiday gifts to food—in one of the most awaited events in the south. The bazaar reportedly generated P10-P11 million annually for the foundation. Since admission to the bazaar was free and open to the public, it also became one of the biggest causes of traffic jams, garbage and noise pollution in the village. 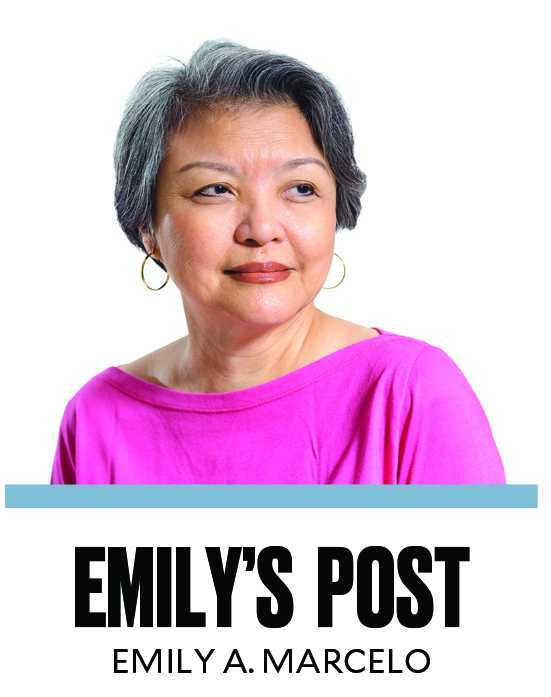 In the Alabang Bulletin, an online news source for residents of Las Piñas, Muntinlupa and Parañaque, an Ayala Alabang resident complained about the loss of privacy, cleanliness and security in the village especially during bazaar season in December. “The field which is meant to be used for the community sports activities gets destroyed,” the resident said. For over two decades, Ayala Alabang residents have had to to deal with these seasonal issues, bracing themselves as the holidays drew near, and counting the days until the bazaar ended and life returned to normal. The last Christmas bazaar was held in December 2016. “The ones who prevented the bazaar from being held that year weren’t the residents of AAV, but the organizers themselves,” said the resident who wrote in the Alabang Bulletin. And just when they thought there would no longer be any considerable influx of nonresidents into the village, a new concern, this time over the community center, cropped up. There is another church, just outside the village, St. Jerome Emiliani on Commerce Avenue, that Carague said might benefit more people. The residents opposed to the construction see the formation or communication center as just another income-generating project, like the Christmas bazaar, only this time, yearlong. In a letter addressed to parishioners published in the village newsletter on Oct. 12, Agustin said the proposed formation center would serve as venue for formation programs (including, but not limited to, teaching the scripture and catechism), Life in the Spirit seminars, weekend praise and worship gatherings, and marriage enrichment weekends. Village resident David Almendral has expressed apprehension that once the structure is up, there would be no stopping the foundation from turning it into a money-making events venue. “Once they have the building constructed, they can use it however way they want to use it. There’s no stopping them,” Carague added. On Jan. 23, foundation president Manny Gonzalez, accompanied by his lawyer, met with Carague at the House and Land Use Regulatory Board (HLURB) office but both parties could not reach an agreement. Carague was advised to file a verified complaint against the AAVA for violating the magna carta.